The boss of British retailing giant John Lewis has launched into a diatribe against France, labelling the country “sclerotic, hopeless and downbeat”, and advising investors to pull out as quickly as possible. The company tried to brush off the remarks as “tongue-in-cheek humour” emanating from a bad Eurostar experience, but was later forced to apologise for the comments. Andy Street, managing director of John Lewis made the comments, reported in the Times, after a visit to Paris earlier this week to receive a retail award on behalf of the chain. Speaking to entrepreneurs at awards dinner in Canary wharf hosted to mark the culmination of a competition for start-ups held by his company, Street told those gathered that France was “finished”. “I have never been to a country more ill at ease . 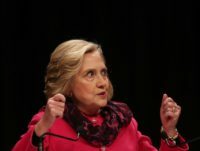 . . nothing works and worse, nobody cares about it,” he said. Referring to the award he had received he added that it was “made of plastic and is frankly revolting. If I needed any further evidence of a country in decline, here it is. Every time I [see it], I shall think, God help France. Mr Street’s Eurostar between Paris and London was delayed for the return journey. Commenting on the two cities he said that their comparative moods “could not have been more extreme”. A French government official this morning declared Mr Street’s remarks “not worthy of comment”, pointing out that the insulting remarks appeared to have stemmed from a bad Eurostar experience “which we note is half French and half British”. Mr Street went on to suggest that the French had misunderstood their past, and thus were unable to understand their future, saying “Any organisation has to understand its past to understand its future. In Salle Wagram, this beautiful salon, just off the Champs-Élysées, we were treated to the naffest troupe of modern dance you’ve ever known and, literally, a chap’s trousers fell down. John Lewis does not have any shops in France, but does have a French-language version of it’s website, with prices in Euros, in the pipeline. The French embassy was quick to dismiss Mr Street’s criticisms. A spokesman told The Times “France is the fifth biggest economy in the world, the second in Europe, and is the country with the fifth largest stock of foreign direct investment in the world so obviously many foreign businesses do not seem to share Mr Street’s view. Also, saying that nothing works in France shows how wide of the mark those comments are. “Everyone who has lived in France knows that it enjoys world-class public services. Public transport, for example, is excellent, and at a price that Mr Street is unlikely to find in many countries. 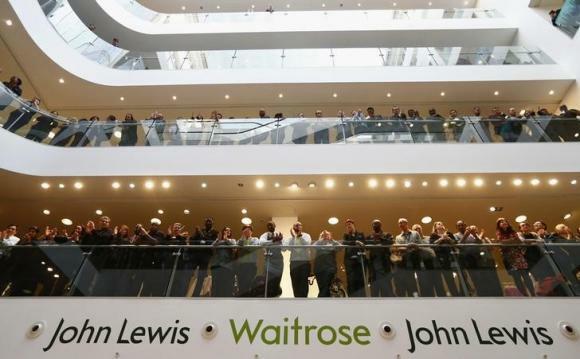 This morning John Lewis said that it would not be issuing an apology, saying that the comments were “made in a tongue-in-cheek context” the Financial Times has reported. However, by lunchtime the story was beginning to be reported in France, prompting a change of heart by Mr Street. In a statement, he said “The remarks I made were supposed to be light-hearted views, and tongue in cheek. On reflection I clearly went too far. I regret the comments, and apologise unreservedly”. The damning remarks come just days before French Prime Minister Manuel Valls is due in London. Together with Prime Minister David Cameron he will meet with business leaders and deliver a speech at the Guildhall.